Last week, Shannon introduced one of our 9×9 experimental programs, Provocative Comparisons. 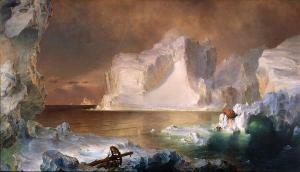 On Saturday, I led our second Provocative Comparisons conversation focused on She, an onyx sculpture by Bosnian-French artist Bojan Šarčević, and The Icebergs, by American painter Frederick Church. My conversation with two visitors while looking at these works of art was rather delightful, as we all shared our observations, questions, and ideas about these artworks. I especially loved seeing new aspects of these artworks and new connections through the eyes of my partners. What connections can you find between these two works of art? Tomorrow, Nicole will lead Provocative Comparisons with two more works of art. Below is a sneak peek…to see its counterpart, join Nicole on Saturday, July 30, at 3:00 or 7:00 p.m. The DMA special exhibition Silence and Time has been a great springboard for conversation on tours with students and in programs with teachers this summer. Since we have just a month left to enjoy the installation, I thought it would be fun to share some new experiences and conversations it inspired, and some familiar activities we revisited. Look for a blog post in mid-August about a half-day teacher workshop in Silence and Time that incorporated some of the experiences below. Prime yourself for time in the galleries by sitting in silence for a few minutes. What did you notice during your 4’33” of silence? Take just one minute to look at an artwork. When your time is up, turn so your back faces the artwork, and write down as many details about it as you can. 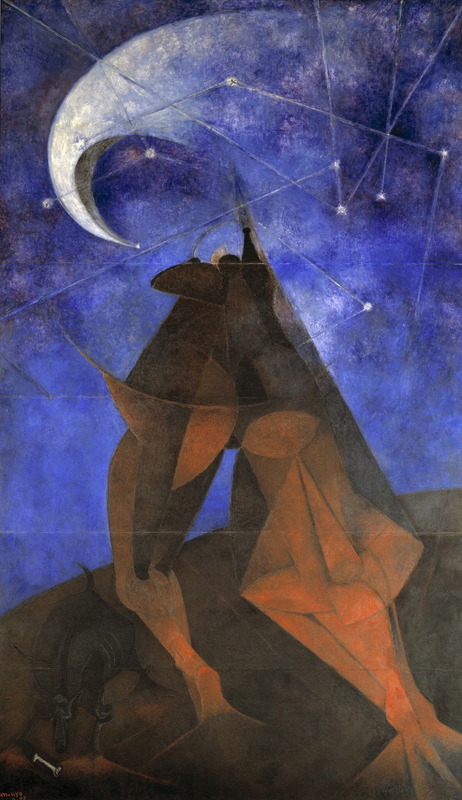 If you’re with a friend, have him or her quiz you about the artwork with your back turned. How much were you able to notice and remember in just one minute? Spend fifteen minutes with just one artwork in the exhibition. Get close, move far away, and use ideas below to help you look closely. Create a log of what you see. Make a sketch of the work of art. Write down questions you have about the work of art. Write down what you like about the work of art. Write down what confuses you about the work of art. Write down how the work of art makes you feel. Consider all the ways time can be measured both mechanically (clocks, calendars) and naturally (changing of seasons, hair growth, erosion). Find as many examples of ways we mark time as you can in works of art in the exhibition. 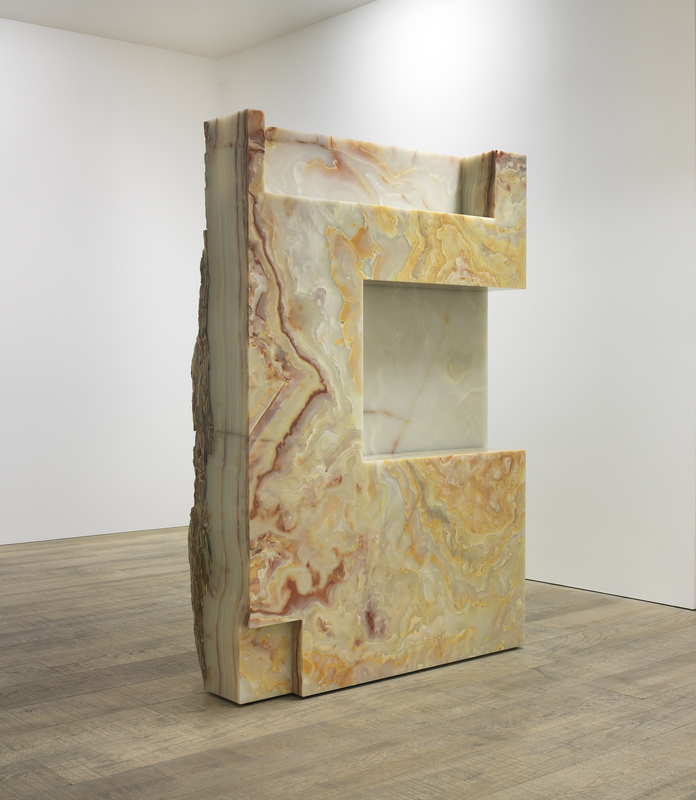 Are there artworks that suggest suspension of time? Time moving slowly or rapidly? That time is cyclical or linear? Challenge a friend to identify different representations of time manifested in artworks in the exhibition. If you enjoy thinking about possible shapes time could take, pick up Alan Lightman’s Einstein’s Dreams, a collection of short stories that describe parallel universes where time behaves differently–sometimes in circles, sometimes backwards, etc. Use make-shift art materials from your purse or pockets to create an artwork that will change with time. As you’re looking for materials in your purse or pockets, consider which objects show more or less wear and tear and which objects age more or less quickly. Then, explore the galleries looking specifically at materials the artists used. 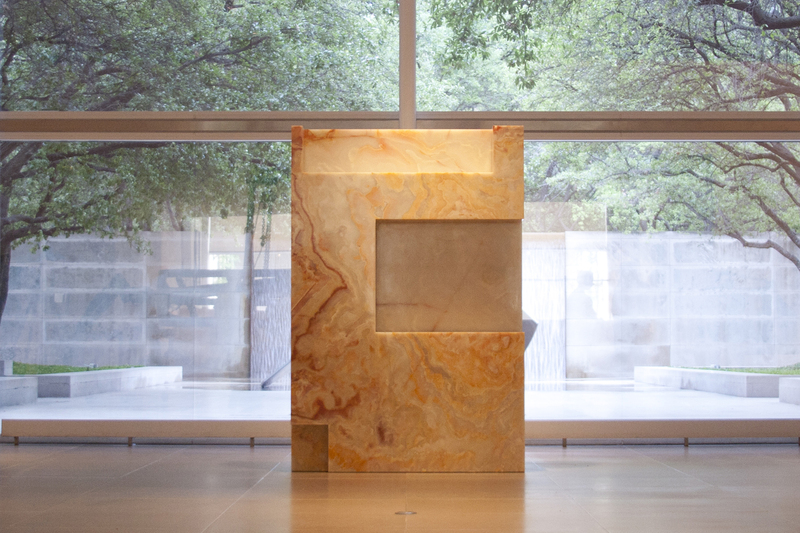 Silence and Time is on view until August 28. 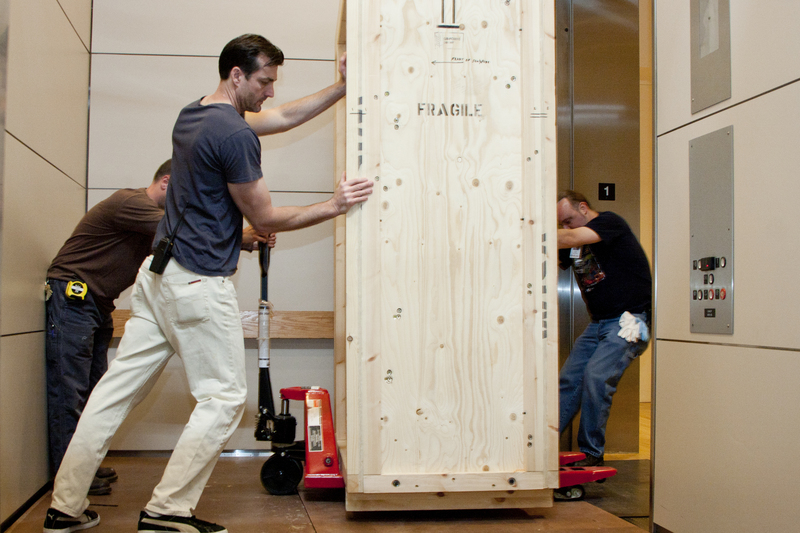 Silence and Time opens on Sunday, but weeks ago we started moving in several heavy sculptures. Below are images of the journey Bojan Šarčević’s She (1.7 ton onyx sculpture) made to the Barrel Vault. Stay tuned for more updates. 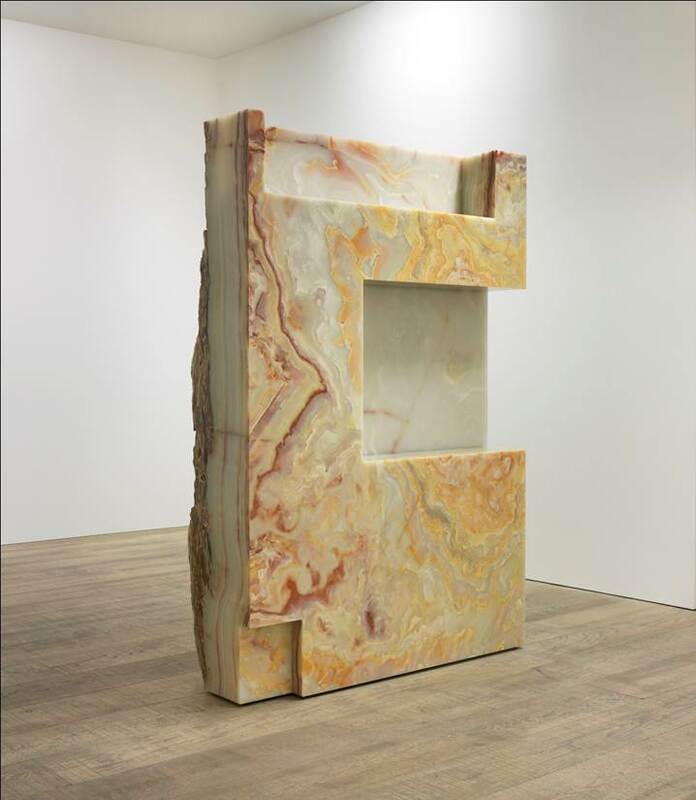 We’d like to introduce you to She, a sculpture by Bojan Šarčević that will make its DMA debut on May 29 in the Silence and Time contemporary art exhibition. And “she” is a recent acquisition. 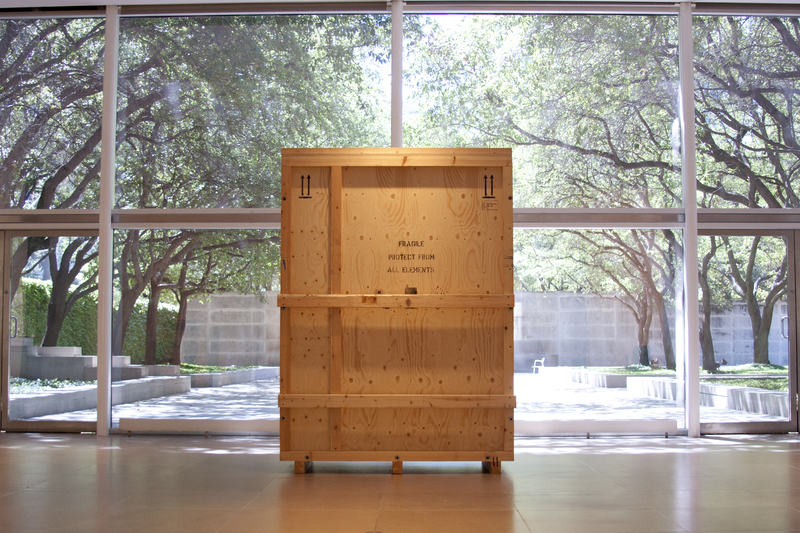 So that got us thinking: how do works of art enter the Museum’s collections? We spoke with Carol Griffin, our Associate Registrar and the Museum’s point person on the acquisition process, to get some answers. To begin, DMA curators look specifically for objects based on aesthetic quality, ability to be exhibited, potential for research and scholarship, and relevance to the Museum’s mission and current holdings. They are always searching for works of art to fill certain “gaps” or to complement works that are already in our collections. They find these objects by talking to knowledgeable collectors and art dealers, visiting galleries, and attending art auctions and fairs. Not all acquisitions are purchases, she points out. 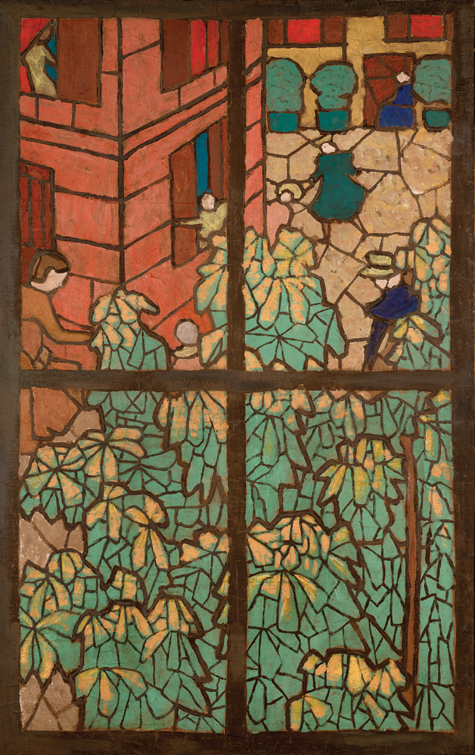 A significant number of works are acquired by gift and bequest. In many of these cases, curators actively seek the objects; in others, donors serendipitously initiate the offer. But when a curator has ID-ed something for potential acquisition, he or she will discuss the opportunity with colleagues and advisors, including fellow DMA curators, trustees, and, of course, the Director. Certain works must be examined by a conservator and, perhaps, other experts to verify condition or authenticity. Once these people have signed off, the curator presents a proposal about the work to the Museum’s Committee on Collections, which is made up of trustees and members of the community and meets several times a year. The committee takes into consideration opportunities to strengthen the DMA’s collections, and its members discuss potential issues like storage and maintenance for the proposed works. The artworks under consideration are present at each meeting so that the Committee can see them rather than make judgments based on photographs. Only after all of these steps are completed can a work of art be acquired by the Museum. 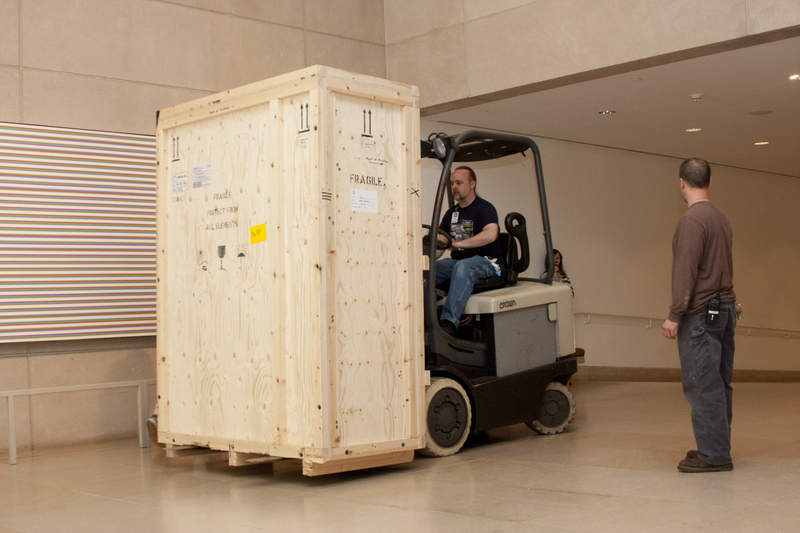 Next up, in order for each object to travel to the Museum and be housed safely, the DMA’s team of registrars develops a plan to address logistics—including crating, transportation, insurance, and storage, and dealing with customs regulations if a work is coming from overseas. 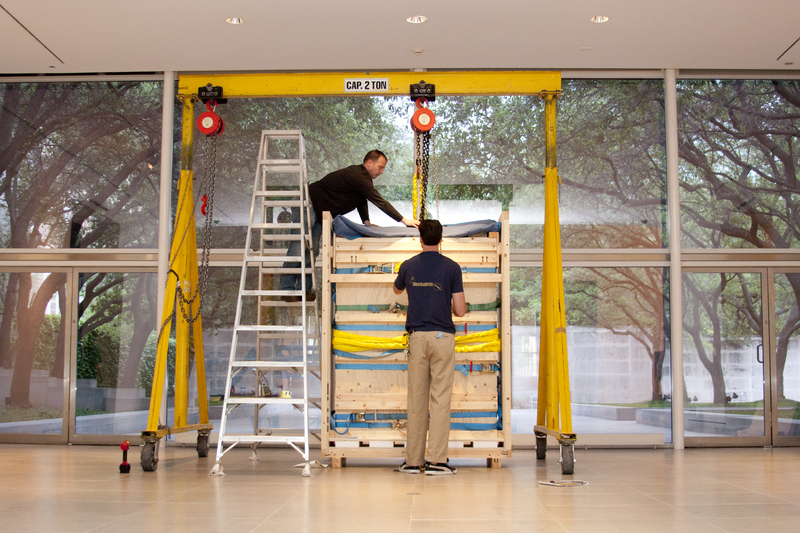 Each crate is usually custom made, with special material precautions, to best protect an individual object. For example, an ancient marble sculpture needs different packaging than a quilt, a wooden mask, or a painting. Once the work of art arrives at the DMA, our registrars and conservator thoroughly examine its condition, making notes and taking photos to document its present state. The artwork is then catalogued with an acquisition number based on the year and the order in which it was acquired, and a file is created for relevant information and research about the object. Some of this information is included on the label that accompanies a work of art in the galleries and can also be found in the Collections section of the DMA website. So, what else has the Museum purchased recently? 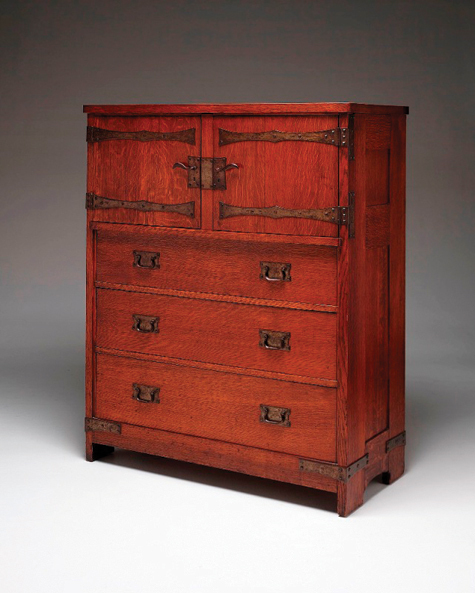 Next time you visit, look for Gustav Stickley’s linen chest from 1903 (currently featured in the exhibition Gustav Stickley and the American Arts & Crafts Movement), which was acquired by the Museum in 2008. 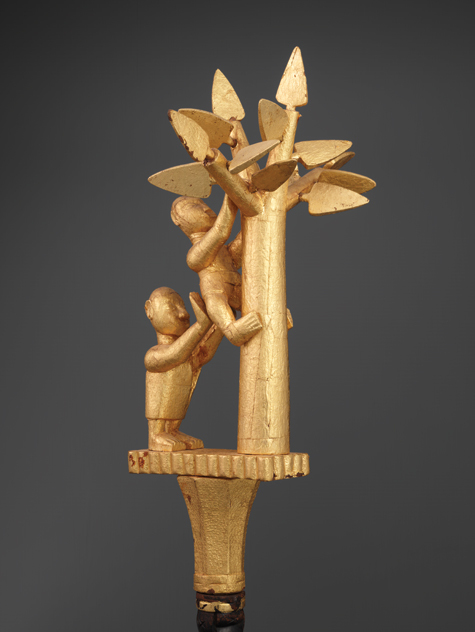 In the European galleries, check out the painting Chestnut Trees by Edouard Vuillard, acquired in 2010, and on Level 3, see the gold linguist’s staff (okyeame poma) in our African galleries, which was also acquired in 2010. Stefanie Kae Dlugosz is the McDermott Curatorial Intern for Decorative Arts and Jacqueline Lincoln is the McDermott Education Intern for Family Experiences. Let me introduce She, a sculpture which will make its DMA debut on May 29 in the Silence and Time contemporary art exhibition. Over the past week, I visited the DMA Web site at least a dozen times, and each time I encountered a detail image of this work. It was not familiar to me. With a little investigation, the case was quickly solved when I discovered that She is a recent acquisition. The sculpture stands six feet and one-half inch tall and weighs more than a ton! The side we see in the image is smooth and polished. The opposite is rough and natural. I wait with great anticipation to officially meet She, and spend a little time in silence contemplating its complexities, beauty, scale, and meaning.